On September 11, 1940, the U.S. Navy made it official, opening Naval Air Station Lee Field, just south of Green Cove Springs. The Air Station was named in honor of Ensign Benjamin Lee who had lost his life in a crash at Killingholm, England, during World War I on October 28, 1918. Benjamin Lee Field was designed to train pilots for landing operations on aircraft carriers during WWII. The facility was renamed Naval Air Station Green Cove Springs in August 1943. 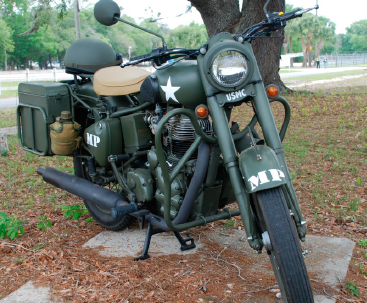 The Military Museum of North Florida honors ALL service men and women from EVERY branch of the service. There are pictures and displays of uniforms, weapons and equipment from each of our major conflicts. You can see what it must have been like to live on the western front in World War I. The equipment and photos from the Vietnam War show how far warfare had progressed since WWI. There are examples of vehicles from the Korean era through Vietnam and beyond. 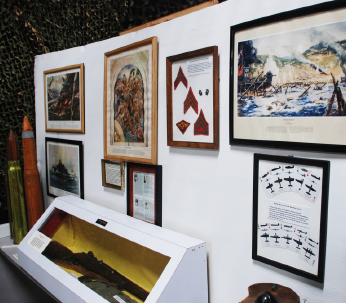 The museum has many special events including displays of military art like these from noted artist John Shaw. Among other events are our Military History Day, D-Day Commemoration, National Holidays and other memorable days in military history.